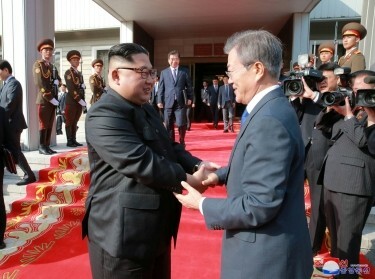 On March 6, North Korean Chairman Kim Jong Un met with South Korean officials and told them that he was prepared to negotiate the abandonment of his nuclear weapons with the United States. 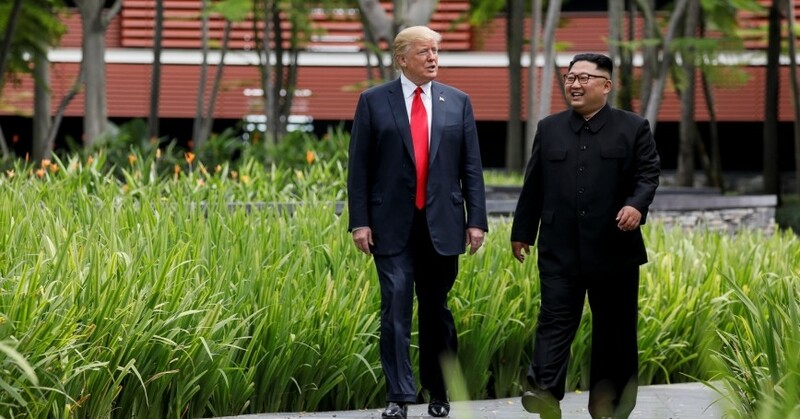 He wanted a summit meeting with President Trump to discuss the North Korean denuclearization in exchange for guarantees of North Korean security. Since that time, Kim has regularly promised to denuclearize, including his recent commitment to remove all nuclear weapons from the Korean Peninsula by early 2021. Secretary of State Mike Pompeo reported “real progress” after a meeting with Kim this week. Russia and China have since requested that the United Nations Security Council relax the economic sanctions on North Korea because of the “positive developments” in Korea. But thus far, Kim has been all talk and no real denuclearization. North Korea has never surrendered a single nuclear weapon, the first measure of denuclearization. Instead, this year it has probably built five to nine nuclear weapons, the exact opposite of denuclearization. As long as North Korea is nuclearizing, not denuclearizing, it should not be rewarded. Indeed, Kim's behavior is difficult to understand given his stated plans to abandon his nuclear weapon program and instead improve the North Korean economy. Why waste hundreds of millions of dollars that could be spent on the economy on building new nuclear weapons that he plans to surrender in the next two years? Even if he was not satisfied with the U.S. security guarantees to date, his existing 30 to 60 nuclear weapons would likely be adequate to spur negotiations. Kim's actions suggest that his real objective is to delay U.S. actions against him until he can build a coercive nuclear weapon force. Actions speak far louder than words. Kim's actions suggest that his real objective is to delay U.S. actions against him until he can build a coercive nuclear weapon force with dozens of ICBMs to directly threaten the United States. Kim has apparently claimed that he cannot begin real denuclearization because hardliners in North Korea would seriously oppose such actions. It is surprising that Kim is admitting that he is not in full control of North Korea. Moreover, these concerns appear exaggerated. Many senior North Korean elites moonlight as entrepreneurs. The economic sanctions are really hurting their personal businesses. They know that denuclearization would substantially improve their personal economic situation, so it is possible that they would support it. 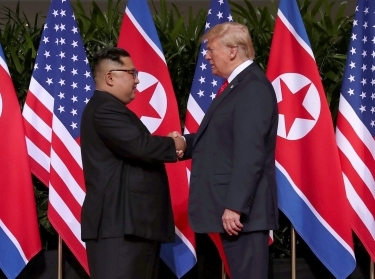 Since March, the United States has maintained the economic sanctions against North Korea, but has otherwise adopted a continuation of the “strategic patience” policy followed by the United States in the past. But there are some steps that could begin to clear the path toward true denuclearization. One might be to seek an immediate freeze of the North Korean nuclear weapons program. The North might be asked, for example, to surrender the nuclear weapons it has likely built in 2018 for disassembly by a team of French-U.K. nuclear weapon experts working with North Korean scientists and supervised by the International Atomic Energy Agency (IAEA). After disassembly, the critical nuclear materials could be taken out of North Korea by the French-U.K. team. The IAEA could place monitoring systems at the major North Korean nuclear weapon production facilities to verify that there is no further nuclear weapon production. To facilitate such monitoring, North Korea also could be asked to provide the IAEA with a list of its nuclear reactors, and its facilities for uranium enrichment, plutonium reprocessing, and nuclear weapons assembly—potentially as much as 10 facilities in all. This list could identify the facility name, its purpose, its location and its capacity. A more comprehensive nuclear weapon declaration could be required later. The IAEA could be charged with verifying the facility list. This would allow procedures to be developed for challenging inspections, as the North Korean list may not include all of its key production facilities known to the United States and South Korea. The fact that these tasks could be needed to simply establish a freeze on the North Korean nuclear weapon inventory illustrates that North Korea is a long way from starting to denuclearize, and thereby meeting its established commitments. Similar actions could also be taken with North Korean ballistic missiles, and especially its ICBMs. Given that the U.S. and South Korea have suspended their major military exercises, North Korea could be asked to do the same. In addition, given that the United States and South Korea have suspended their major military exercises, North Korea could be asked to do the same. All of these actions would be consistent with the spirit of the Chinese “Freeze-for-Freeze” proposal. North Korea may insist on compensation for these actions. President Trump has ruled out relaxation of the sanctions against North Korea until denuclearization is complete, so other actions would likely come under consideration. To meet North Korea's interest in item one from the June 12 Singapore Agreement, which commits the U.S. and North Korea to establishing new relations, the United States could take several actions. First, it could ask China to join its requested “freeze” by suspending its major military exercises in its Northern Theater opposite North Korea, demonstrating new U.S. concern for North Korean security. The United States could also invite North Korea to send perhaps 100 North Korean graduate students for social science and business studies at the best U.S. universities to help them learn about U.S. thinking and culture—something the North Korean elites reportedly want. Finally, the United States could offer to establish a liaison office in Pyongyang to support developing U.S.-North Korean relations. All of these actions might serve to illustrate that the U.S. wants to achieve a new relationship with North Korea. These could be worthy first steps, with many more steps required to get full dismantlement of the North Korean nuclear weapon program. If taken before the escalating North Korean nuclear weapon threat grows any further, these steps could make a difference. This commentary originally appeared on Newsweek on October 10, 2018. Commentary gives RAND researchers a platform to convey insights based on their professional expertise and often on their peer-reviewed research and analysis.